The Astonishing Story of Salvation Bible Reading Packet makes it easy for you to teach your students about God's plan of salvation. 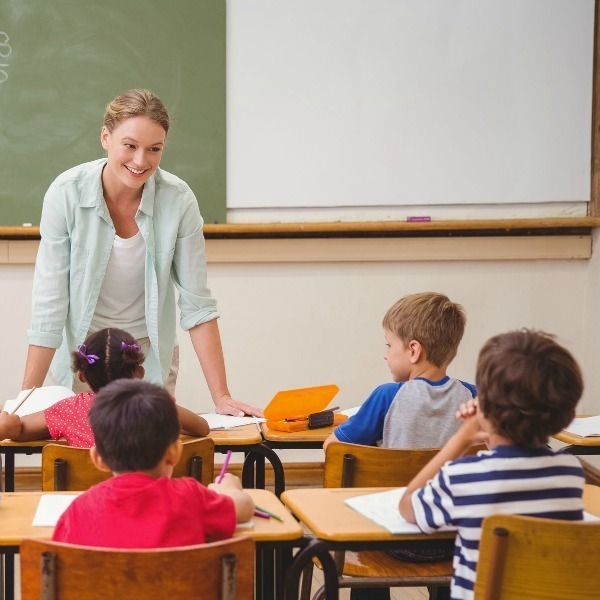 As a teacher, you want to give your students a strong Biblical foundation for their lives. 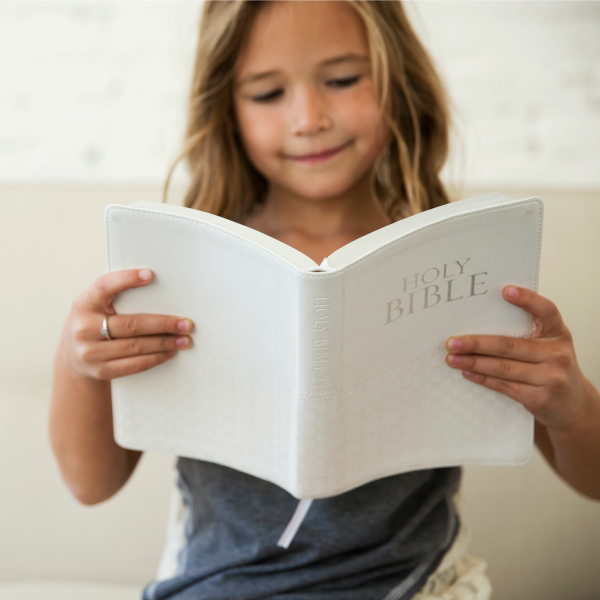 You want to encourage your students to read the Bible and get to know Jesus Christ for themselves. 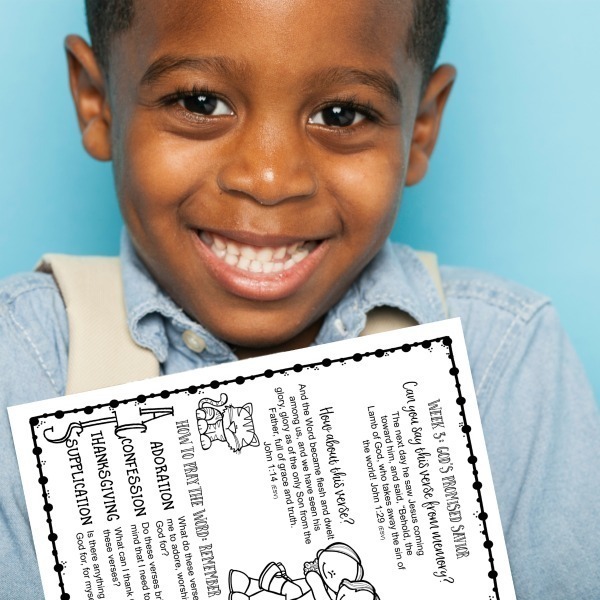 Now there's an easy way for you to introduce your students to the good news of the gospel. 1. 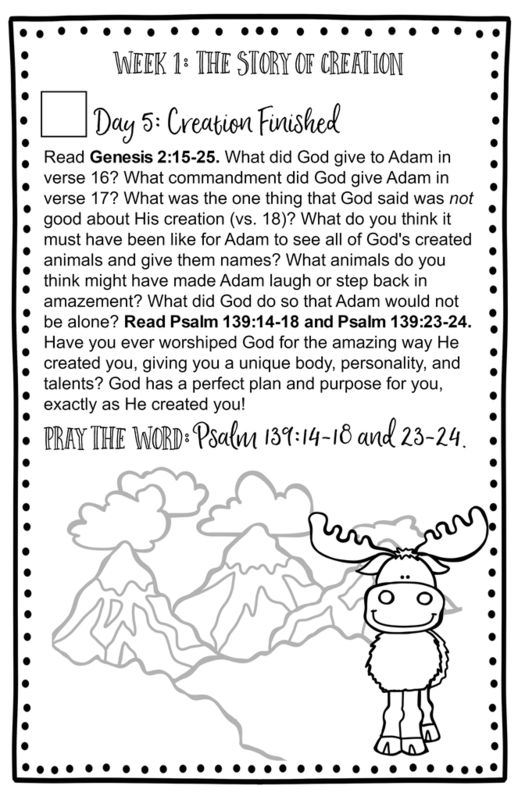 Print the Digital Bible Reading Pack and make as many copies as needed for the students in your classroom or the kids in your church. 3. 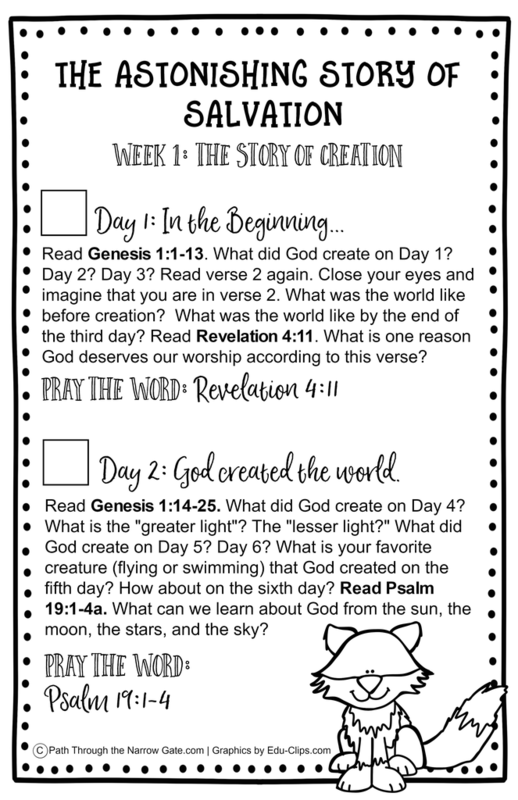 Discuss the questions with your kids the following week and offer rewards for those have read the Bible on their own or with their families. 1. 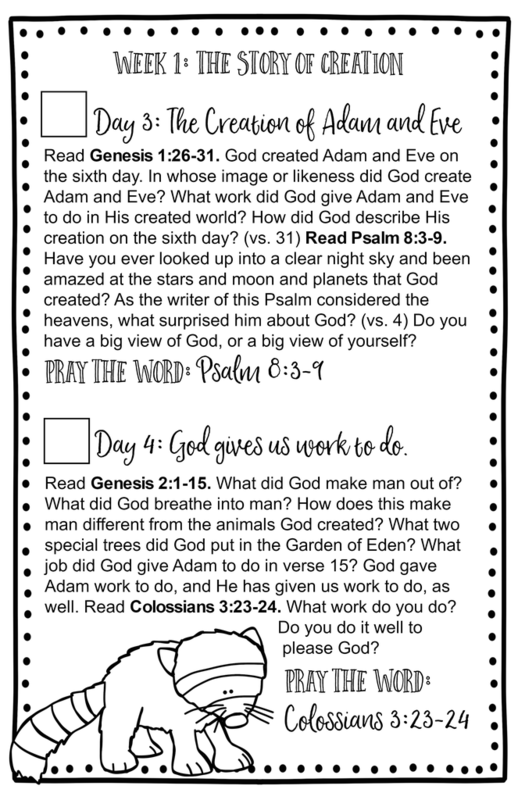 Print the Digital Bible Reading Pack and make as many copies as needed for the students in your classroom. to introduce your students to God's plan of salvation and encourage them to get to know Jesus for themselves. Our family uses dinner time to read and discuss the Scriptures. Scripture. Such a well done resource! I wanted to read the Bible, but it always seemed overwhelming to me. I didn't know where to start. Now, it is easy to read the Bible on my own. I keep these pages by my Bible so I know what to read each morning. 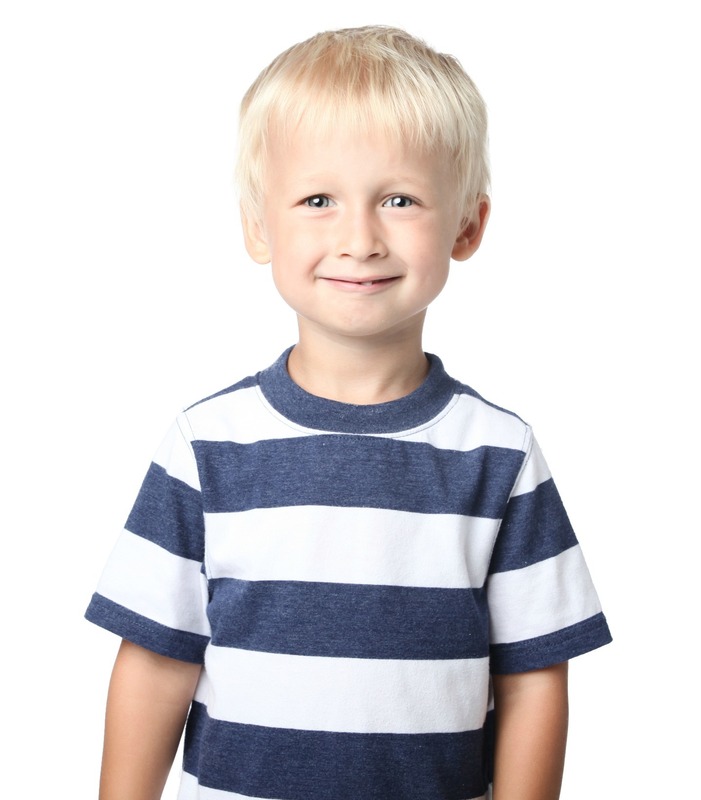 This study is a simple, yet powerful way to point children to grace and salvation in Jesus. It's grounded in biblical truth and teaches practical ways to pray. I highly recommend this study to any parent wanting to teach their children about God's amazing grace and the free gift of salvation. 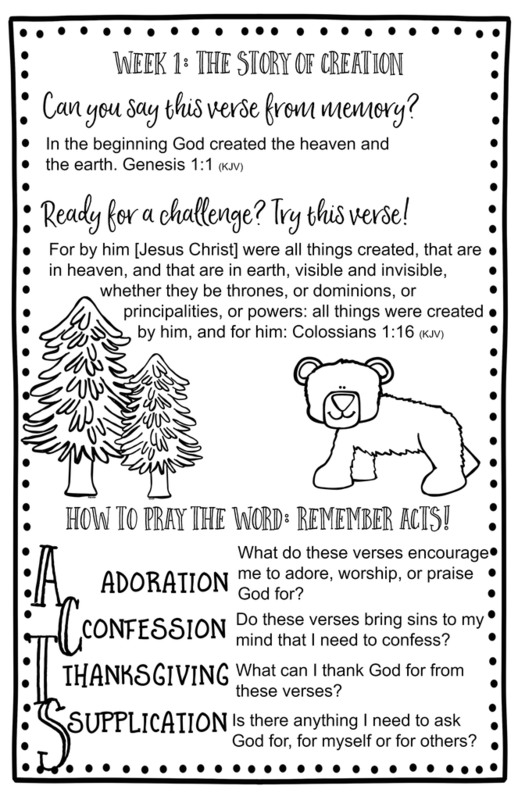 Not sure if this Bible reading packet will be a good fit for your classroom? If you are unhappy with this packet for any reason, I will refund your money, no questions asked. 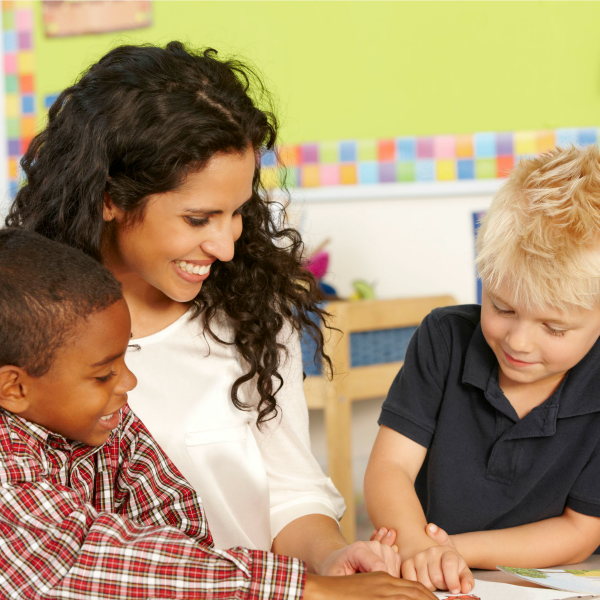 Be the teacher that makes an eternal difference in children's lives. Start sharing the Astonishing Story of Salvation with your students today!